Although cities are lively and fascinating, they often do not fully convey the culture, life and customs of their country. To get a real feel for a place, you should explore the areas where the real colour and beauty of is preserved. The rural areas of Ukraine, listed below, will give you inspiration for your travels. A small but incredibly picturesque village, Mezyn stands on the banks of the River Desna and constitutes a part of the Mezynsky National Park. The village is ancient: archaeologists say that it has existed since the late Paleolithic period. There, time stops and you’ll be surrounded by the riot of colours and perfection of nature. Dzembronya is considered to be the highest mountain village in Ukraine. Despite the fact that the village is nestled among the Carpathian slopes, the tourist infrastructure is well-developed there and you can always rent comfortable accommodation. 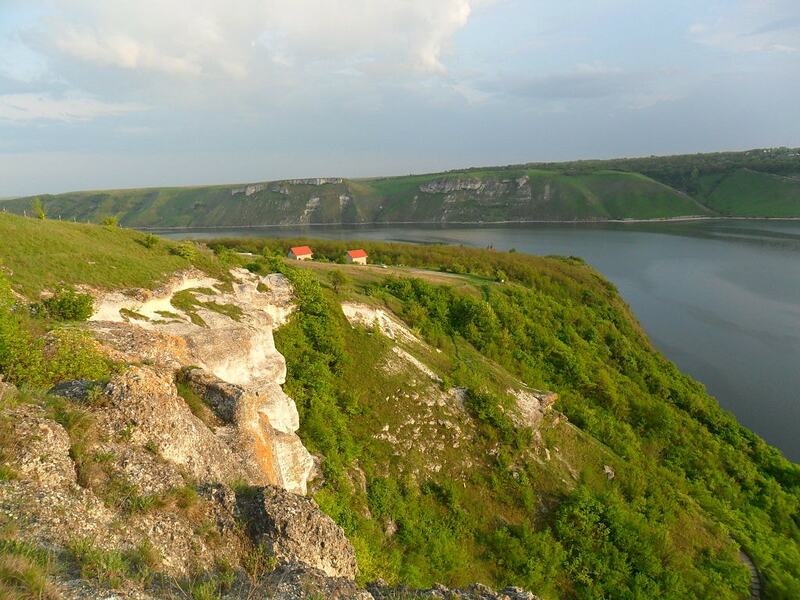 Stunning scenery, fresh air and forests make Dzembronya the centre of green tourism in Ukraine. The gem of Ukrainian cinematography Shadows of Forgotten Ancestors by director Sergei Paradzhanov was filmed there. Nobody can remain indifferent to the landmarks of Strusiv. The 18th-century Goluchovsky Palacehas been well-preserved there – an old two-storey classic complex with a park on the cape, formed by the fast flow of the Seret River. Moreover, the village of only 1,500 people, impresses tourists with the Church of St Anthony built in 1903, the modern Greek Catholic Church and ancient synagogue building. The village is situated by the Southern Bug River and bordered by its rocks. 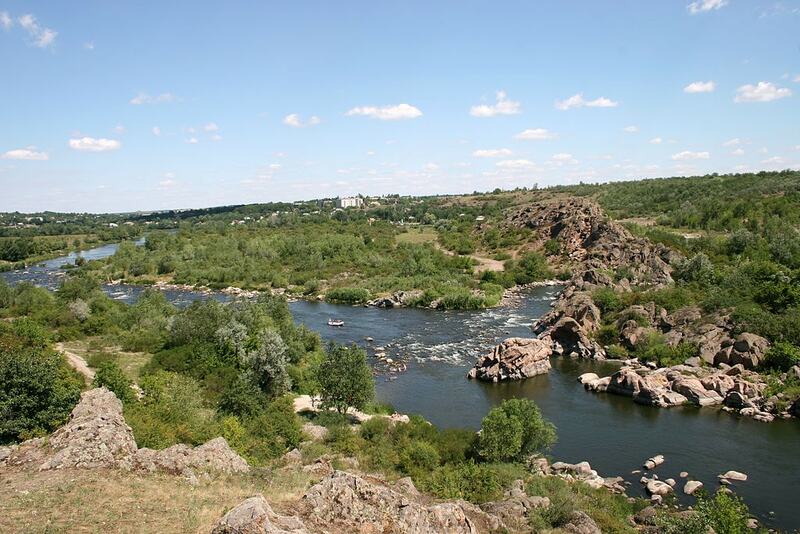 The scenery is impressive: below Grushevka is the turbulent water stream, and above are greenery and flowers. During summer, it is a place for rafting and climbers, as the rocks forming canyons are a great location for training camps. In addition, it is a part of the national landscape park called Buzkiy Gard. Opishnya in the Poltava region is a true Mecca of pottery, modestly hidden on the banks of Vorskla River. When visiting the town, travellers have a unique chance to get acquainted with the history of pottery, which has developed in this region for millennia. You can buy clay bowls, jugs and barrels and find out the secrets of their manufacture, which are handed down from generation to generation. 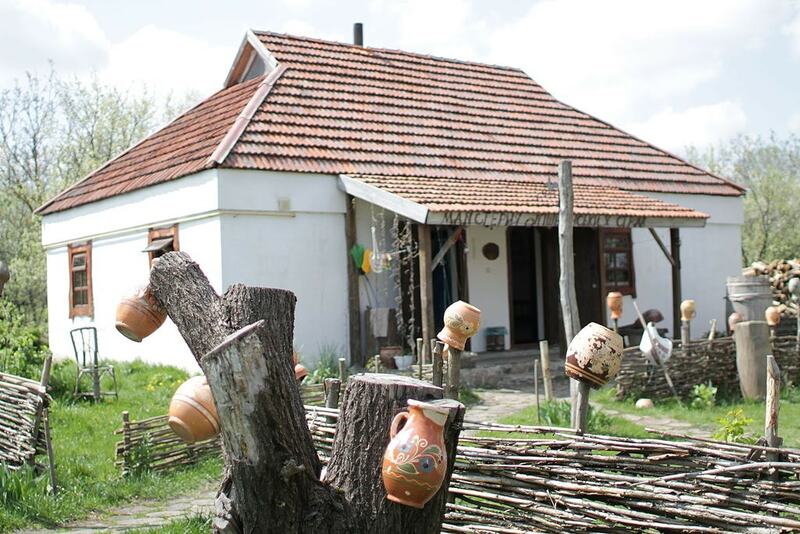 Fans of cultural attractions can also visit the National Museum of Ukrainian Pottery and the Institute of Ceramology. The main craft of the village of Iza is wickerwork. 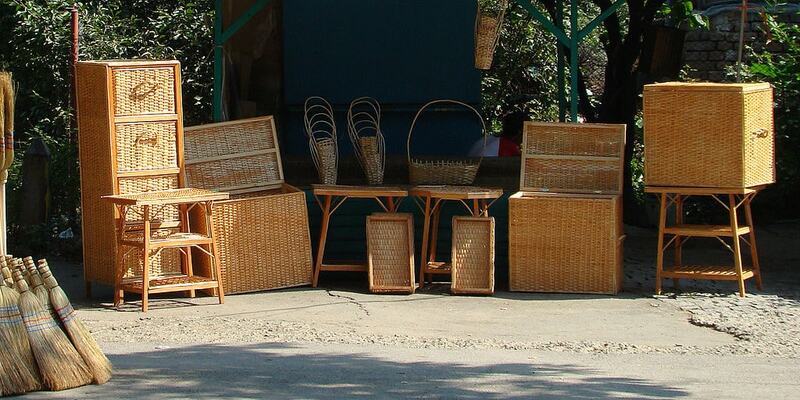 Locals will show you that you can weave everything, from furniture to souvenirs. Such products are environmentally friendly, durable, beautiful and, of course, authentic. As well as the wonders of wickerwork, Iza is also known for incredibly tasty cheeses created by the private factory Baranovo. Other attractions are the deer and ostrich farms. 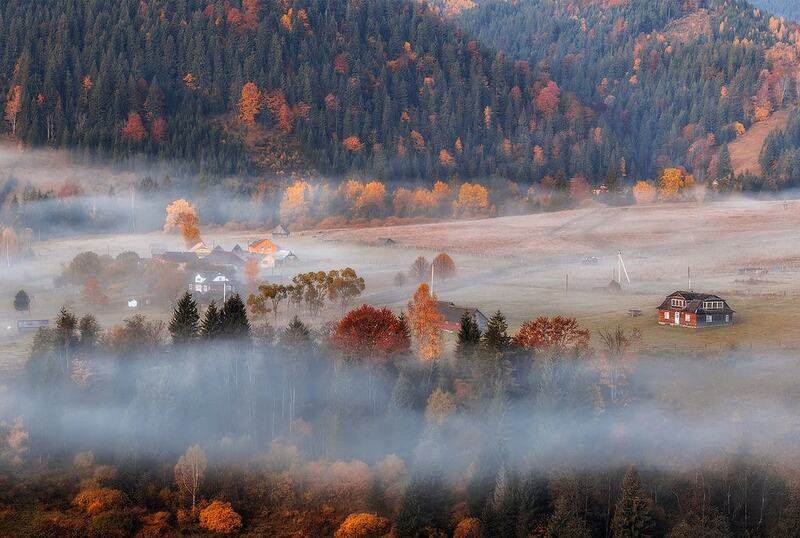 The village of Synevirska Polyana in the Carpathian Mountains is the most famous tourist site in Western Ukraine. 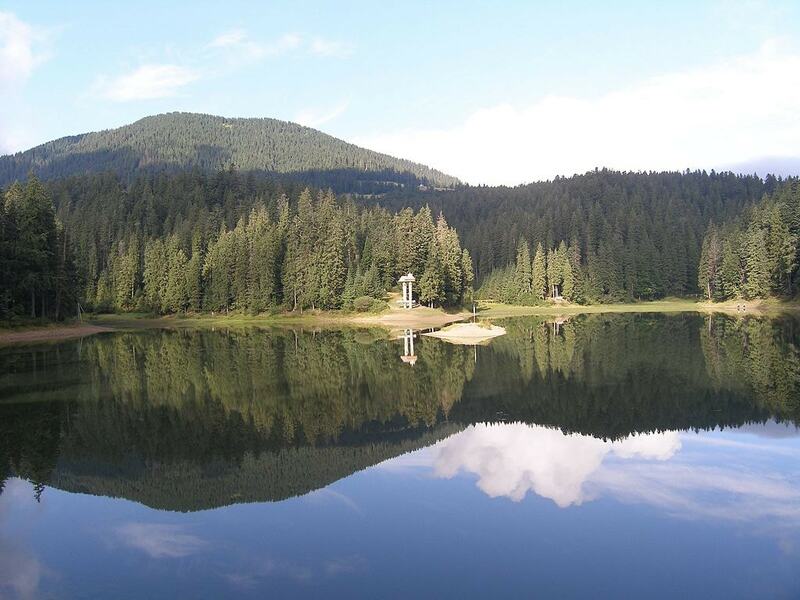 It is well-known for its crystal-clear air, ecological forests and the Synevir National Nature Park, including the largest natural lake in the Carpathian region of the same name. There are many legends connected to the place. One of them is that the lake cures illnesses and brings happiness in love. 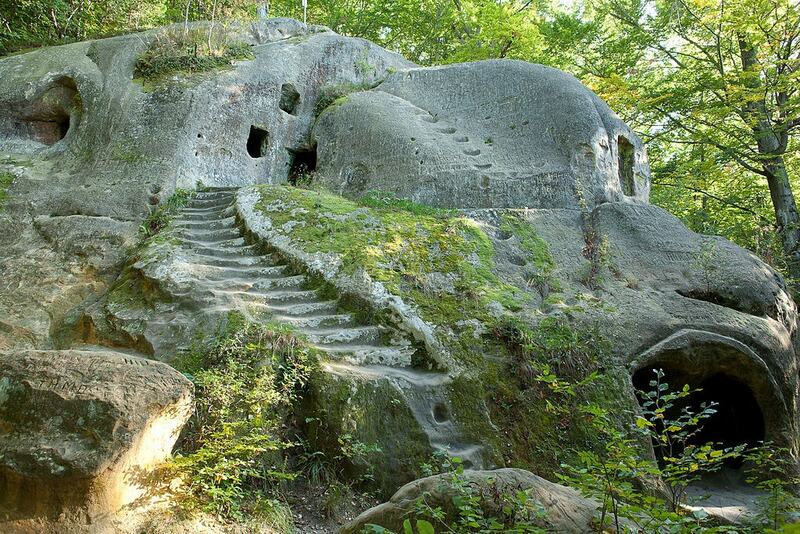 The south-eastern outskirts of Rozgirche village are home to an ancient rock monastery, the first mention of which can be traced back to the late 15th century. It is a whole monastic complex, located in caves and is an example of sacral rock construction. The caves are carved on two levels connected by a stone staircase. From the top of the monastery, you can look out on a beautiful landscape view of the rural surroundings and the valley of the Opir River. This town is named after a huge stone block, which was used as a temple in ancient times. Literally, Podkamen means ‘under the stone’. There is also a monastery with a bell tower and gates dating back to the 18th century, a huge cell building, a majestic church constructed in 1612, a chapel and a Corinthian column. The name of this town translates as ‘a desirable place’, and first-time visitors are often impressed by the beautiful scenery. With the advent of the Tatar-Mongol troops in 1255, the settlement was practically erased from the face of the earth. Bakota has since been rebuilt and the people who live here are proud of their land’s history. The ruins of a rock monastery have been carefully preserved; it was discovered by the same person who established the remarkable Kiev Pechersk Lavra. 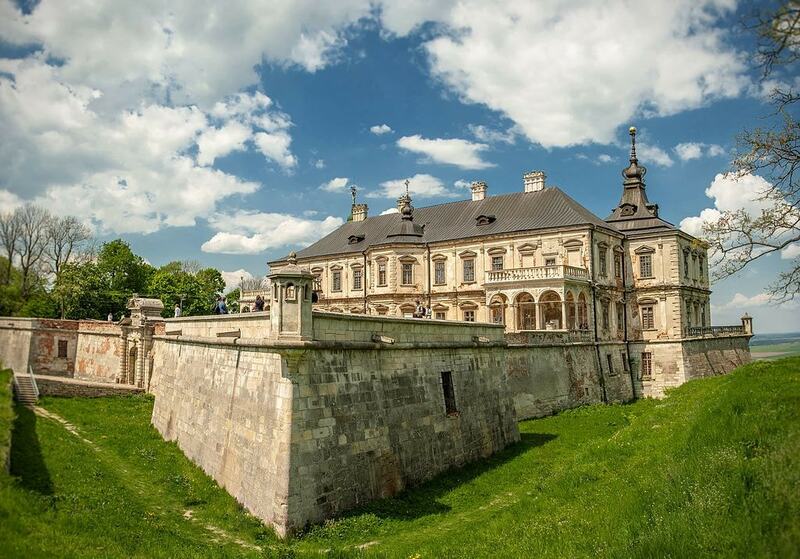 In the past, this village was called Galician Versailles, and its main landmark was the Pidgoretsky castle, which was constructed as a defensive fortress in the mid-17th century. The castle has survived through different eras and wars and was destroyed and rebuilt many times. The Austrian Emperor Franz Josef and Honore de Balzac have both visited Pidhirtsi. Besides the castle, you can take a walk in the French-style park, or visit the Roman Catholic Church of the Exaltation and St. Joseph. The village of Leski is famous for its strawberries and it is known locally as ‘strawberry village’. It’s hard to believe, but such a small village with a population of only 1,800 people gathers such a huge harvest of strawberries – more than 300 tonnes every year. Come to Leski in the summer and you’ll be in juicy fruit heaven! 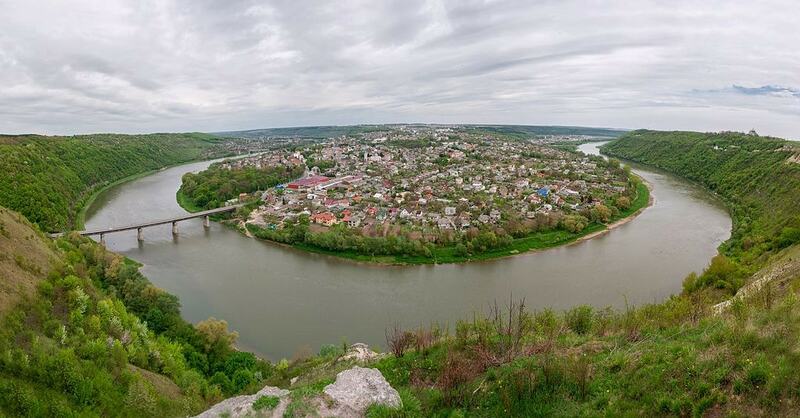 A picturesque town stretching in the western region of Ukraine, Zalishcyky is surrounded by the Dniester River. The river bends almost at 360 degrees, forming a 1.8-mile (3km) meander around the town. The settlement is also famous for Brunitskikh Palace, which was built in 1831. In the postwar period, it served as a hospital and the beautiful interior decorations, were lost unfortunately. There is also a Church of St. Stanislaus, with a glorious chapel and a bell tower.